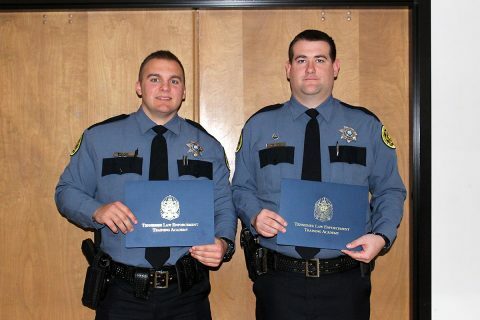 Clarksville, TN – The Montgomery County Sheriff’s Office (MCSO) would like to congratulate Daniel Trimble and Austin Brown on their graduation from the Tennessee Law Enforcement Training Academy in Nashville, Tennessee. 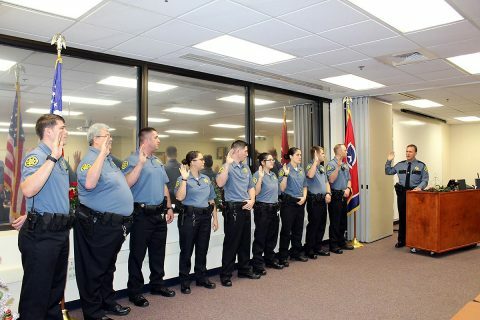 The twelve week course prepares students to meet the standards for law enforcement officers established by the Tennessee Peace Officers Standards and Training Commission (POST). The curriculum includes firearms training, defensive and tactical driving, physical defense tactics, understanding terrorism, law enforcement procedures, and introduction to the legal process. Austin Brown and Daniel Trimble of the Montgomery County Sheriff’s Office recently graduated from the Tennessee Law Enforcement Training Academy. Trimble has been with the Sheriff’s Office since February 2016 and Brown since January 2017. They both started as deputies in the detention center. The MCSO would also like to congratulate Travis Cioffi, Austin Hedrick, Brianna Hesson, Carter Jonagan, Jonathan Law, Rachel Milliken, Max Morris III, Franklin Peterson, Keith Vandemark, and Issac Woolley on their completion of the Detention Services Bureau Field Training Officers (FTO) Program. Montgomery County Sheriff’s Office’s Travis Cioffi, Austin Hedrick, Brianna Hesson, Carter Jonagan, Jonathan Law, Rachel Milliken, Max Morris III, Franklin Peterson, Keith Vandemark, and Issac Woolley on their completion of the Detention Services Bureau Field Training Officers (FTO) Program. 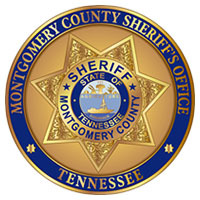 Montgomery County Sheriff’s Office graduate from Detention Services Bureau Field Training Officers program Tennessee Law Enforcement Training Academy. The FTO Program provides new deputies with 430 hours of training through practical and classroom instruction. Each deputy learns constitutional and state law, department policy, firearms proficiency, and defensive tactics. They also complete a shift rotation in the detention center before assuming their permanent position. In recognition of their achievement, Montgomery County Sheriff John Fuson held a commencement ceremony where each deputy was sworn in before family and friends and received a certificate of completion.